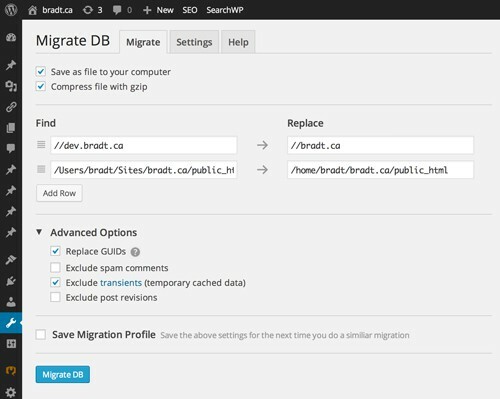 Migrating WordPress can be quite a hassle. One tool that I’ve been relying on when migrating websites is WP Migrate DB. This plugin makes migrating your WordPress databases very seamless since it has a great search and replace function which takes into consideration any domains and paths which will be different in new hosting locations. I develop all my sites in my own staging environment so when it’s time to push the sites to production this tool comes in handy. The video below demonstrates WP Migrate DB in action.